WaterCop Z-Wave Outdoor has the unique ability to shut off the main water supply to a property and integrates with Z-Wave smart home technology for remote control of and notifications for the main water supply valve. Designed with waterproof housing and outdoor-rated wiring, this proven 24/7 leak detection and automatic water shut-off system is ideal for properties on slab foundations. Available in ½” through 1¼”. 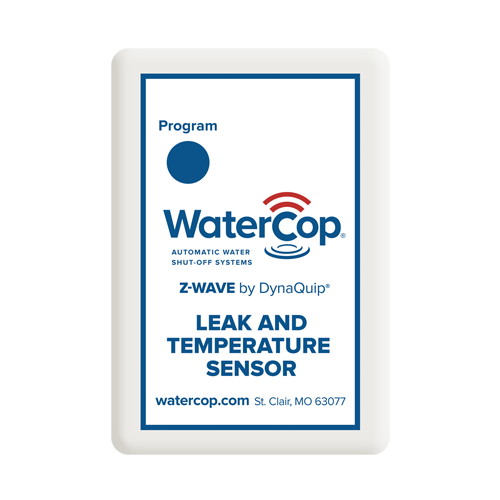 WaterCop Z-Wave combines the trusted WaterCop system beneﬁts of early electronic leak detection and automatic water shut-off with the additional feature of operating in a Z-Wave enabled network (even if the shut-off is outdoors). 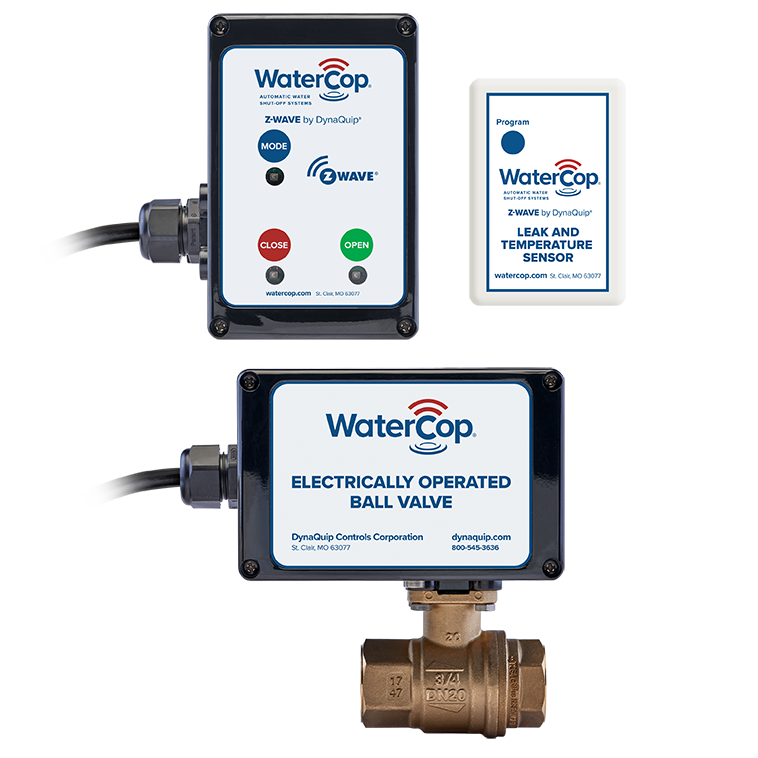 When installed into a new or existing Z-Wave network, the WaterCop Z-Wave control valve may be locally or remotely controlled using a gateway interface. Integrated with other automated home devices such as alarms and environmental controls, the WaterCop Z-Wave system offers an added level of convenience and security when it comes to protecting properties. The WaterCop Z-Wave System is customizable to fit any plumbing configuration. Helps reduce the chance of frozen water pipes and plumbing leaks that may occur with low temperatures within a Z-Wave enabled network.